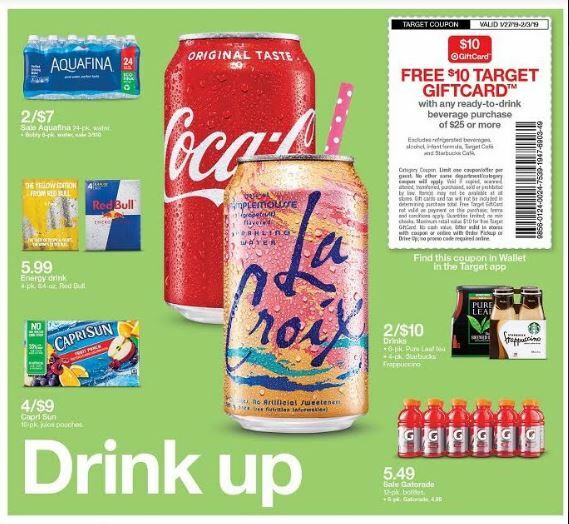 Starting January 27th, Target will be offering a FREE $10 Target Gift Card when you spend $25 on ready-to-drink beverages. Be sure to get your coupon, found in the Target weekly ad or in the Target app. Excludes refrigerated beverages, alchohol, infant formula, Target Cafe and Starbucks cafe. Here are the beverages on sale this week too! Time to stock up!